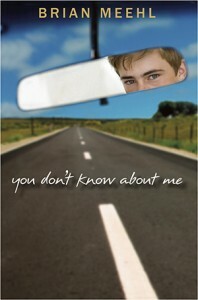 You Don’t Know About Me is a story that began with a little known yet infamous book. In 1884, months before Mark Twain published his classic, Adventures of Huckleberry Finn, he was reading a non-fiction book called Thirty-three Years Among Our Wild Indians. While reading it, Twain wrote many notes in the margins. He was brainstorming a sequel to Huckleberry Finn, which would follow Huck, Tom, and Jim as they headed into Indian territory for a “howling adventure.” Twain wrote the first nine and half chapters of the planned Huck Finn sequel and stopped abruptly, mid-sentence. While Twain never finished the sequel, the book in which he mapped out the story in the margins still exists. This book, and Twain’s notes, have been closed to the world for 128 years. When I met the man who now owns the book, and he told me the story of the literary gold mine buried in its margins, my imagination went to work. I imagined a modern day treasure hunt for the book. But not just any treasure hunt: a quest that would echo the epic journey Huck and Jim took down the Mississippi River in Huck Finn. After all, they were on a treasure hunt for freedom. So my modern treasure hunt became the story of a boy’s quest for the invaluable book, and his adventure as he seeks his own freedom. Doyno, Victor A. Writing Huck Finn: Mark Twain’s Creative Process. Philadelphia, PA: University of Pennsylvania Press, 1991. University of California Press, 2002 (1885, originally). Twain, Mark. Huck Finn and Tom Sawyer Among the Indians and other Unfinished Stories. Berkeley, CA: University of California Press, 1989. Dodge, Colonel Richard Irving. Our Wild Indians: Thirty-Three Years’ Personal Experience Among the Red Men of the Great West. Hartford, CT: A.D. Worthington and Company, 1883. Lame Deer, John, and Erdoes, Richard. Lame Deer Seeker of Visions. New York: Simon & Schuster, 1972. Neihardt, John G. Black Elk Speaks. Lincoln, NB: University of Nebraska Press, 1979. Yellowtail, Thomas. Native Spirit: The Sun Dance Way. Bloomington, IN: World Wisdom, Inc., 2007. Amaechi, John, with Chris Bull. Man in the Middle. New York: ESPN Books, 2007. Bean, Billy. Going the Other Way. New York: Marlowe & Company, 2003. Cross, Carlene. Fleeing Fundamentalism: A Minister’s Wife Examines Faith. New York: Workman Publishing, 2006. Dodd, Patton. My Faith So Far: A Story of Conversion and Confusion. San Francisco, CA: Jossey-Bass, 2005. Hanway, Donald G. A Theology of Gay and Lesbian Inclusion: Love Letters to the Church. New York: The Hawthorn Pastoral Press, 2006. Harris, Sam. The End of Faith: Religion, Terror, and the Future of Reason. New York: W.W. Norton & Company, 2004. Kopay, David and Deane Young, Perry. The David Kopay Story. Los Angeles, CA: Advocate Books, 1977. Levinson, Tom. All That’s Holy. San Francisco, CA: Jossey-Bass, 2003. Rosen, Christine. My Fundamentalist Education: A Memoir of a Divine Childhood. New York: Perseus Books Group, 2005. Shuck, Glenn W. Marks of the Beast: The Left Behind Novels and the Struggle for Evangelical Identity. New York: New York University Press, 2005. Wallis, Jim. God’s Politics: Why the Right Gets It Wrong and the Left Doesn’t Get It. San Francisco: Harper Collins, 2005. Weinheimer, Beckie. Converting Kate. New York: Viking, 2007. White, Mel. Stranger at the Gate: To Be Gay and Christian in America. New York: Penguin Group, 1994. Least Heat-Moon, William. 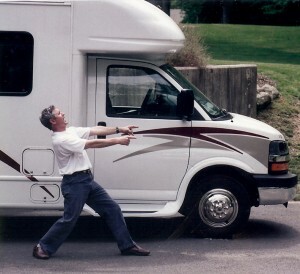 Roads to Quoz: An American Mosey. New York: Little Brown and Company, 2008.